NASCAR driver Kevin Harvick will be returning to his hometown of Bakersfield, CA in 2018 for the K&N Pro Series West Race and he’ll be driving the FIELDS Ford! Kevin announced his 2018 return to Bakersfield tonight on Happy Hours, his SIRIUSXM radio show. “This is really an honor for us, because we know how special Bakersfield is to Kevin. 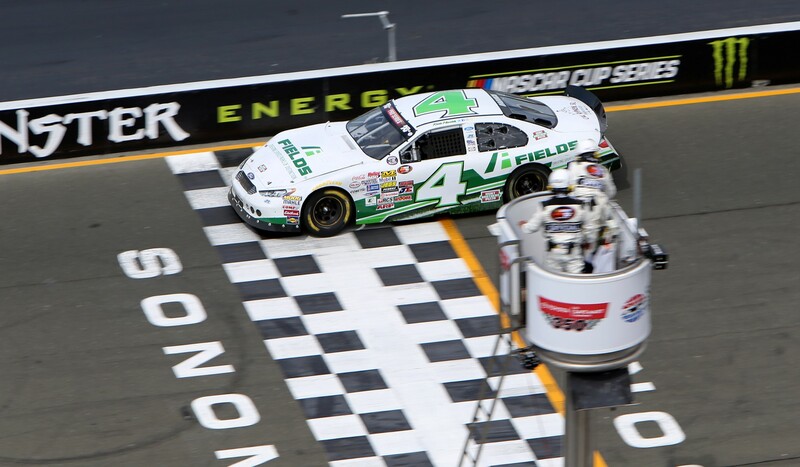 The FIELDS Ford was fast in Sonoma where he won the Carneros 200, so we’re hoping for a similar performance in Kevin’s hometown,” said Brian Storm, President & CEO of FIELDS. The K&N Pro Series West Race will be held at Kern County Raceway Park in Bakersfield, CA on March 15, 2018.